We operate in accordance with the highest level of ethics. 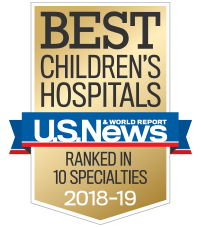 Children's Healthcare of Atlanta and its affiliates, ("Children's") seek to conduct themselves in accordance with the highest level of business and community ethics and in compliance with applicable governing laws. Children's recognizes the problems that both deliberate and accidental misconduct in the health care industry can pose. Children's is committed to ensuring it operates under the highest ethical and moral standards and its activities comply with applicable laws. Children's Healthcare of Atlanta's Compliance Program (the "Program") has been developed in accordance with applicable law and with guidance from state and federal authorities when available, including the Federal Sentencing Guidelines. The Program focuses on the prevention of fraud and abuse in federal, state, and private healthcare plans and conveys Children's commitment to integrity and being a center of profound excellence. The scope of the Program may be expanded in the future to cover other areas of compliance to which Children's is subject. With this Program, Children's will seek to promote full compliance with all legal duties applicable to it, foster and assure ethical conduct, and provide guidance to each employee and agent of Children's for his/her conduct. The procedures and Standards of Conduct, which are part of Children's Program define generally the scope of conduct that the Program is intended to cover and should not be considered as all inclusive. Employees, volunteers, contractors, vendors and patients and their families have the opportunity to report Compliance concerns by phone or online. All users have the option to remain anonymous. Our patient privacy notice describes how medical information about your child may be used and disclosed, and how you can get access to this information. Please review it carefully.